Reminder: Spring Bean Hole Bean Supper is coming right up! 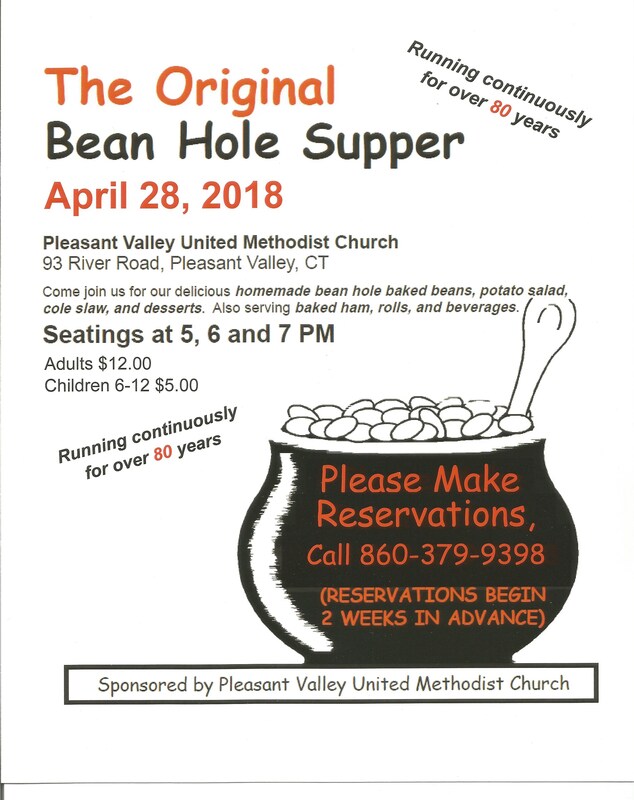 The spring Bean Hole Bean Supper will be held on Saturday, April 28th. See the flyer below for serving times, cost, and the number to call for reservations. If you’d like more information, including the history of these suppers and the menu served, click on the Bean Hole tab at the top of this page. Hope you can join us for a hearty, classic New England style meal!